A special Signature Edition V7 created in collaboration with Mr. Billy F. Gibbons of ZZ Top. A wireless version designed for use with Shure® handheld transmitters. Avail. in standard or all-black. "I have a new snare mic now. The sE V7 beat all my usual (and a few unusual) suspects in a blind test, and now it’s my go-to. Perfect tone and great hi-hat rejection. It’s killer!" 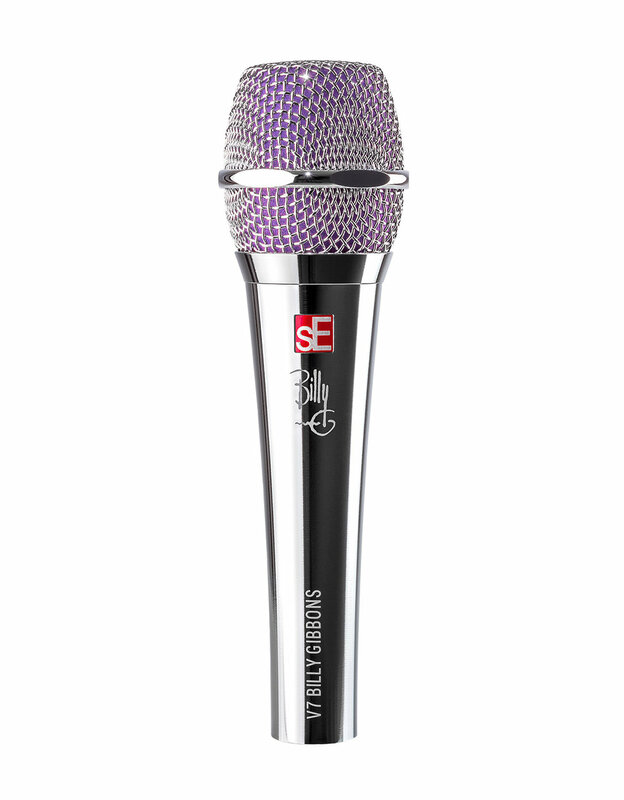 "The V7...is a stage mic that doesn’t feel like a compromise. I’ve had this mic for almost a year, and it’s captured amazing vocal performances, with stellar sounding results. Plus, the V7 excels at all of the requirements for live use — even more so than the industry standards." "...great rejection and a smooth off-axis frequency response, with fewer ups and downs in the spectrum vs. the Beta 58A." "...the V7’s self-resonance is more than one octave lower than that of the three Shure mics — which means you have a much greater chance of being able to EQ (or multiband-compress) the handling noise out of a V7-recorded track, without losing as much from the lows and low-mids. This is a tremendous advantage when your singer wants to hold the mic." "Moreover, given its stellar sonic performance, it’s also a great dynamic mic for drums, guitar amps, and other instruments too. I think every studio should have at least one V7 — for tracking live vocals, but also for recording anything that would make you pull out your other favored dynamic mics. Given its price, you can probably afford to buy a few of them." "The V7, in a word? Perfectamundo!"